Dr. Mathias Steinach who will be with us for the second time to study the effects the 430 mile race has got on runners is still looking for athletes. He already came for research in 2013. In 2015 he will be back to get more data. Mathias works for the renown Center for Space Medicine Berlin which is part of the University there. Athletes who participate not only help understand better what extreme environments do to us humans in general. They will of course also gain very interesting insight on how our race affects their body. The premiere two years ago worked really well. Mathias found a way to get all the data necessary without interfering with the race rhythm of the participants. He is looking for four more athletes who would like to be part of this. So, if you are interested, please send me a quick email (info@thegreatoutdoors.de) and I will send you more detailed information on what exactly will be done. I just want to remind all participants of the MYAU 2015 not to forget their medical certificates. A start without this certificate signed by a doctor is not possible. It may be possible to get the certificate in Whitehorse but of course having to run after this just days before the race causes stress and can be costly. Please keep a copy in case the envelope gets lost in the mail. Take your copy with you to Whitehorse just in case. All athletes who are from countries outside of Europe, please take your original paperwork with you to Whitehorse and hand it in there. This also goes for pages 1 to 4 of your Application & Waiver which you may have sent in by email already. So far we have very few athletes signed up for the training course. Therefore, I just want to remind you all that the training course is mandatory for all those without previous cold weather experience. If most of you have the experience and that is why you have not signed up, that’s awesome. If you have not been out in temperatures below – 20 degrees Celsius please sign up by emailing me until January 1st. I need to have the numbers as I need to confirm the room booking and catering. Showing up on short notice won’t work I am afraid. At the MYAU 2015 the Japan Broadcasting Corp. (N.H.K.) will film for a 100 minute sport documentary. It will be part of a series that also covers some of the world’s most amazing races. To fill 100 minutes of documentary you need to tell interesting stories. And that is why the production team would like to get to know our athletes a little better. So, if you don’t mind, please take a few minutes to answer the below questions and email this to info@thegreatoutdoors.de. I will then forward it to the production team. 1) Please tell us about your personal aim in the race? 2) What motivates you to this extreme race? 3) What do your family or friends say about your participation? 4) During the most difficult situation or challenging part, what would emotionally support you to keep going? In a previous news update I had already told you that in 2015 Yann Besrest-Butler will be our official race photographer. We will do our best to get Yann out on the trail as often as possible and that he can take pictures of everyone. If he catches up to you and manages to take some photos, it is possible to purchase photography from him. He will provide one image for GBP 25.00 and 5 images for GBP 100.00. This is an offer of course. Should you not want to spend money on photography you can always ask checkpoint crew or other athletes to take your picture. If you want to see some of Yann’s work, please check out his website www.yannbb.com. In 2015 we will work with SPOT satellite tracking devices again. As with any technology, there are pros and cons. But overall the positive aspects are more than the negative ones. The main reason we have SPOTs is for their 911 function. And thankfully, so far it has only been used once. The 911 button to us means there is an absolutely life threatening situation. This also means if there is no life threatening situation, IT CAN’T BE PUSHED! Please keep in mind that the cost for a 911 rescue operation can be enormous and it has to be paid by the athlete or his/her insurance. Obviously, if life is at risk it just has to be done. But if you are lost, tired, exhausted or have any other problem that a good rest and common sense can solve, do not push that botton. If a good rest is of no help, there is a button on the SPOT that is called exactly that: „Help“. It is a signal to the race organisation that you do have a problem and want to end your race then and there. But otherwise you are fine and will wait for us to come. For 2015 the rental fee (tracking service, shipment and set-up included) is EUR 50/unit. If you bring your own SPOT, the set-up fee is EUR 20/unit. All those of you who bring your own SPOT and did not tell me that already, please email me by December 10th. If I have not heard from you I will assume you need a rental unit and I will order one for you. Regarding the 100 mile race, I will have to wait until after December 10th to decide if SPOTs will be mandatory here, too. Interestingly, in our Facebook group in a small survey I did, there was a majority of people in favor of making SPOTs mandatory for the 100 miles. But I won’t know until mid December if I can get enough additional rental units. In any case, if you do the 100 miles and know already that you want to rent a SPOT or if you want to bring your own, please let me know. Above I already talked a bit about SPOT and rescue. Now I just want to make sure everyone understands that no matter if it’s a „Help“ or a „911“ message, rescues in the winter wilderness of the Yukon will likely not be as quick as you would think. If a „Help“ message is sent or a checkpoint calls us and asks for transportation of an injured athleted from a remote checkpoint, it depends on various factors as to how fast we can be. 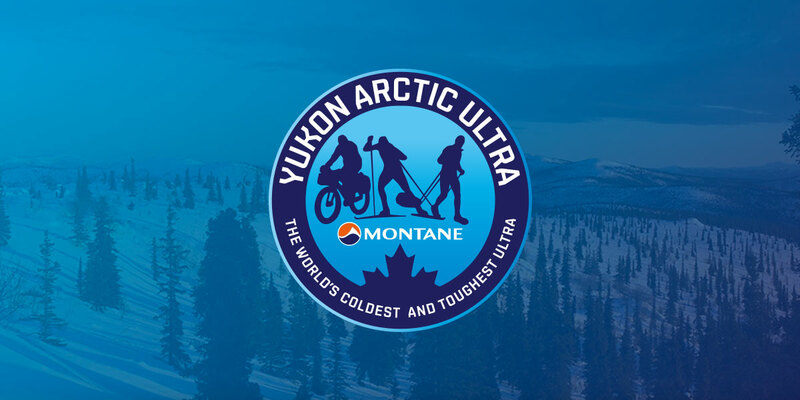 If for example an athlete is in relative saftey at that checkpoint and the weather is extremely cold and it would be a risk to send a ski-doo guide, then it will take as long as there is no more risk. In places like Scroggie Creek (430 miles only) there may also be the need for air evacuation rather than ski-doo. Depending on the circumstances it can be safer and quicker for a plane to do the rescue there. PLEASE note that air rescue to 100% has to be paid by the athlete! Also, we try to avoid ski-doo rescue at night. So, if you push the help button in the middle of the night it is very likely that only in the morning you will see us arrive. Even a 911 mission can take hours. And again, if the weather does not permit, there is no air rescue at all. That is also, why it is so important to have basic survival skills, enough food, warm clothes and the right sleeping system. I will not talk about survival skills or what to do or not to do in serious or dangerous situations. There is a lot of interesting literature on the market and pretty likely you have read at least one of these books already. Or you may even have had survival training. In any case, it’s good to be prepared and think about certain scenarios and what you will do.